The Colorado Plateau is home to some of the most spectacular landscapes, canyons, and rivers in the United States. 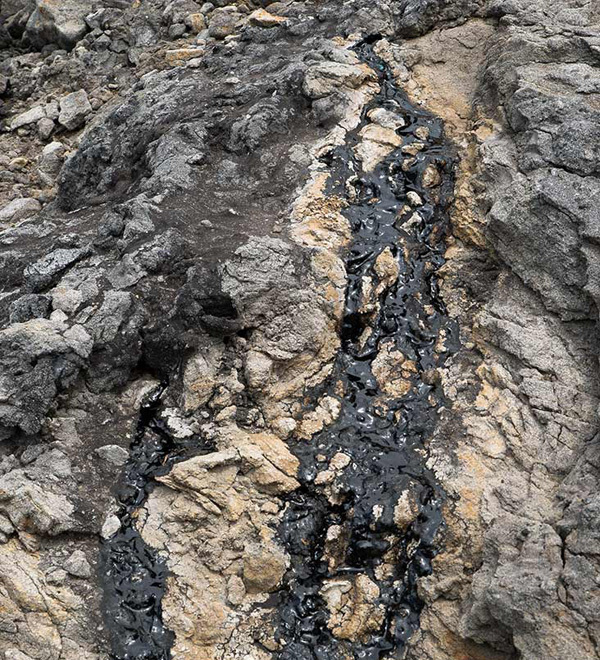 It also contains significant deposits of potential energy resources. Mining the uranium and fuel deposits unique to this region threatens the land, water, and air, and in the case of oil shale and tar sands, could dramatically expand our nation’s carbon footprint. At the same time, ample solar and wind resources call for renewable energy alternatives more appropriate for a region widely recognized as a climate change hotspot. We safeguard the Colorado Plateau’s iconic landscapes from destructive uranium mining and milling. In partnership with a broad coalition, we won a 20-year ban on new uranium mines within the Grand Canyon watershed. We continue to fight for the closure and timely clean-up of existing uranium mines, and we work to ensure that the White Mesa uranium mill complies with the laws and regulations designed to protect public and environmental health. The use of our federal public lands – such as these – for oil shale and tar sands mining threatens to destroy the Colorado Plateau’s iconic landscapes. 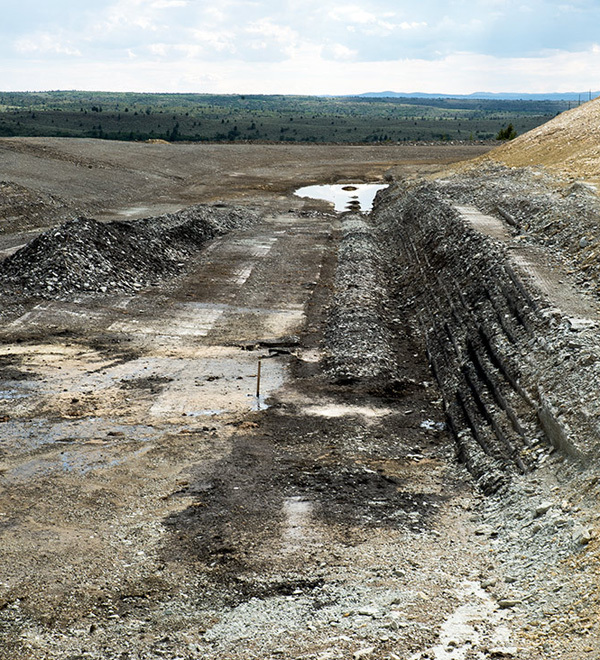 Strip mining for tar sands requires removal (and destruction) of the land surface – a practice often analogized to mountain top removal for coal. Over 810,000 acres of federal land in Utah, Colorado, and Wyoming are available for oil shale and tar sands mining, threatening to irreparably degrade land, water, and air. 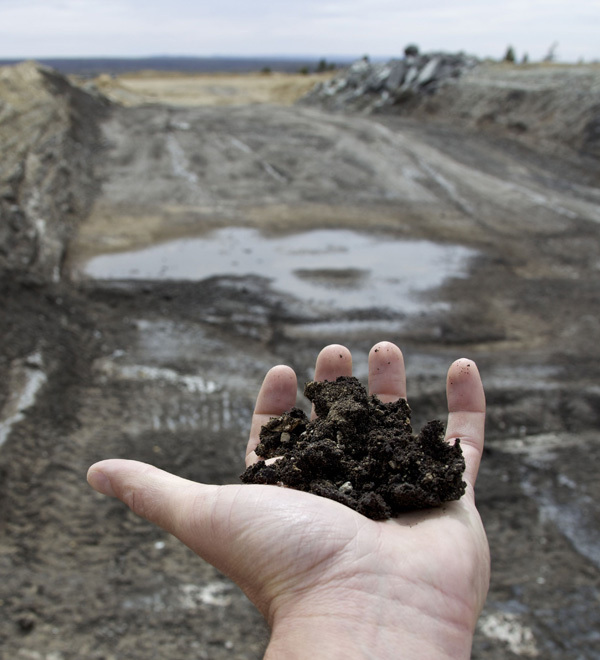 For decades, industry has failed to make oil shale and tar sands mining economically viable. These unconventional fuels are the bottom of the barrel – the worst oil in the West’s best places. 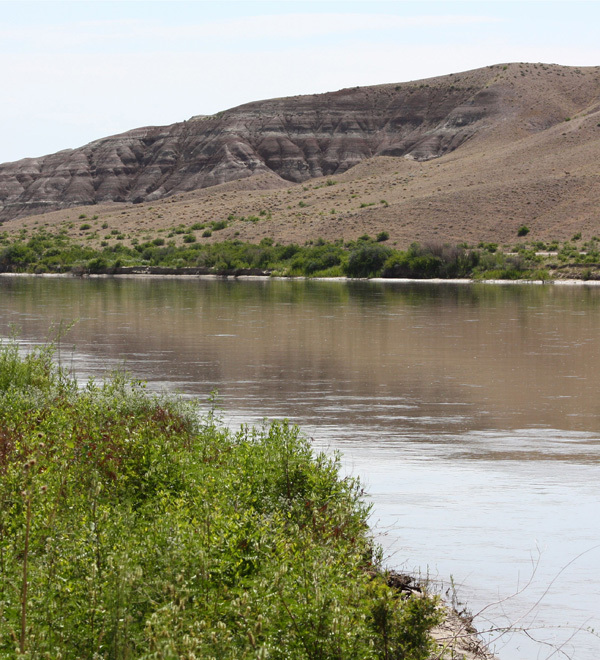 Oil shale and tar sands development near the Green River, along with oil and gas development in the Uinta Basin, threaten water quality and quantity throughout the Colorado River Basin. The Trust’s Energy Program works to keep landscapes like this free of oil shale and tar sands, keeping these dirty fuels in the ground where they belong. The Trust is working to curb greenhouse gas emissions on the Colorado Plateau by fighting oil shale and tar sand mining, preventing methane waste from oil and gas development, and reducing emissions from coal fired power plans. Our climate work recognizes that the plateau’s off-the-charts contributions to climate change via large-scale carbon-intensive energy production stand in stark contrast to the plateau’s well-known extreme susceptibility to climate change. 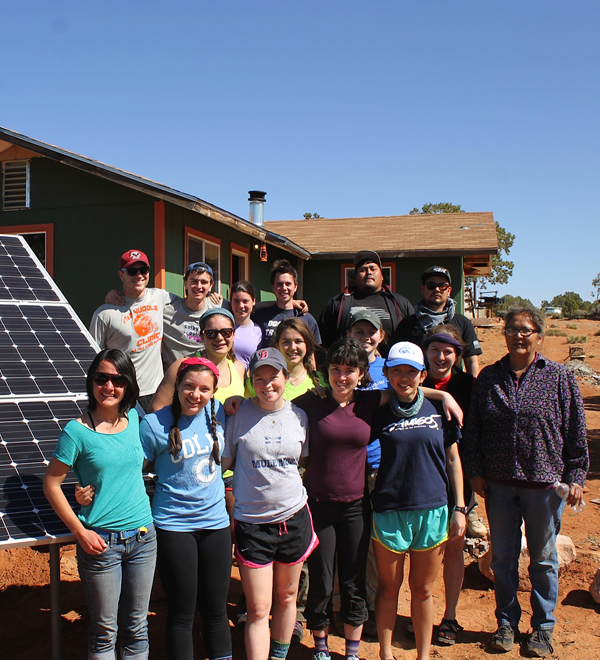 Photovoltaic installation on the Navajo Nation with Shonto Energy and Colby College volunteers, Spring 2014. 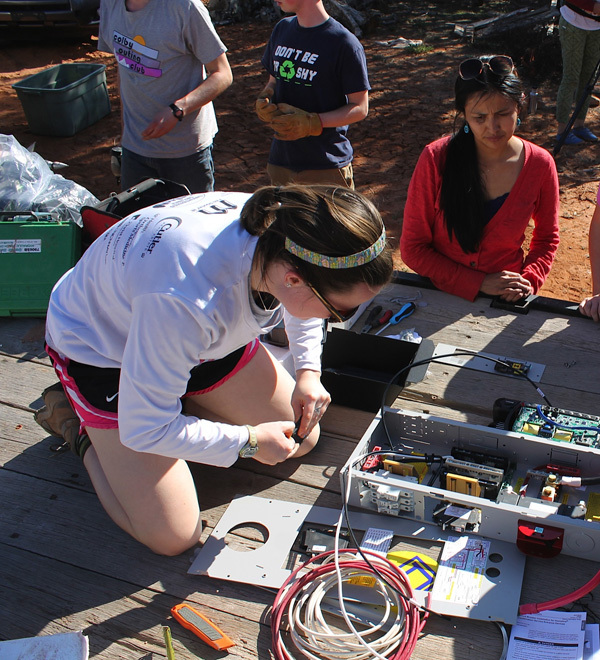 Assembling photovoltaic panels with Shonto Energy and Colby College volunteers, Spring 2014. 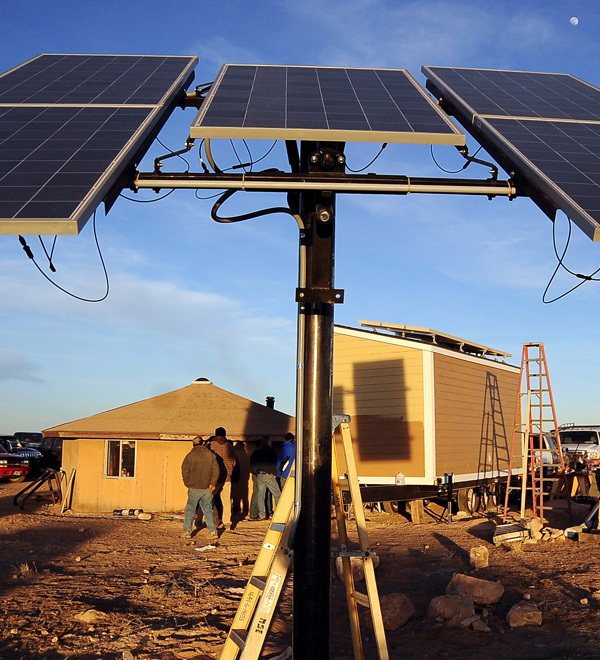 An off-grid solar system installation at the home of Paula Curtis near Leupp, Arizona on the Navajo Nation. 80KW solar photovoltaic system being installed at Leupp High School, Leupp, Arizona. 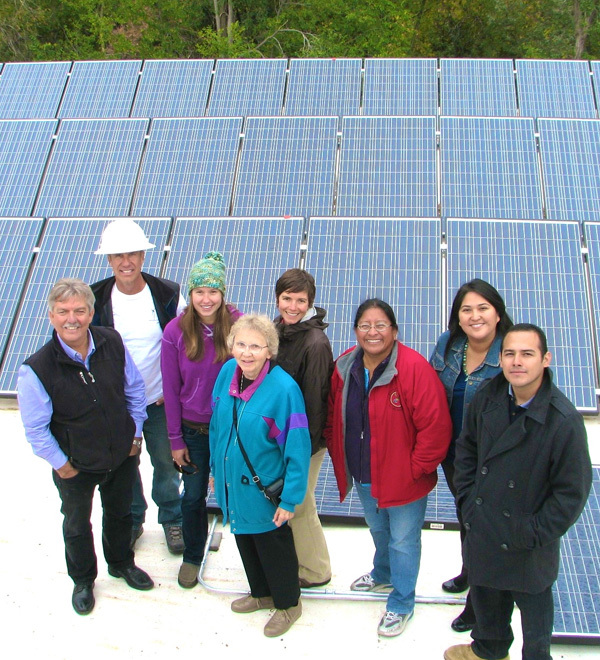 A happy crowd stands in front of a 40KW solar system installed at St. Michael's Indian School. An agreement in 2005 between the Trust and owners of a coal-fired power plant provided $5 million in renewable energy grants for homes, schools, and community buildings located on the Navajo, Hopi, Hualapai, and Zuni reservations. 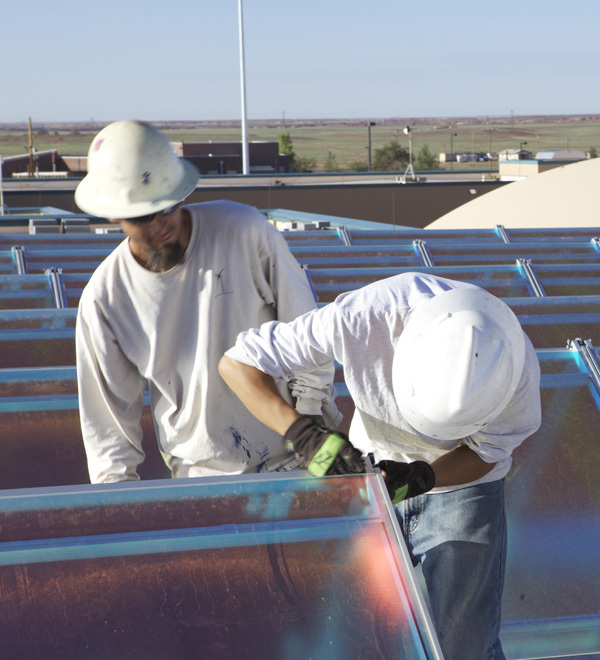 More than 200 solar, wind, and energy efficiency projects received funding for materials, while supporting partners covered labor and other costs. Capturing leaking methane from oil and gas operations on the Navajo Nation could provide enough gas to cover the annual use of every home on the reservation. 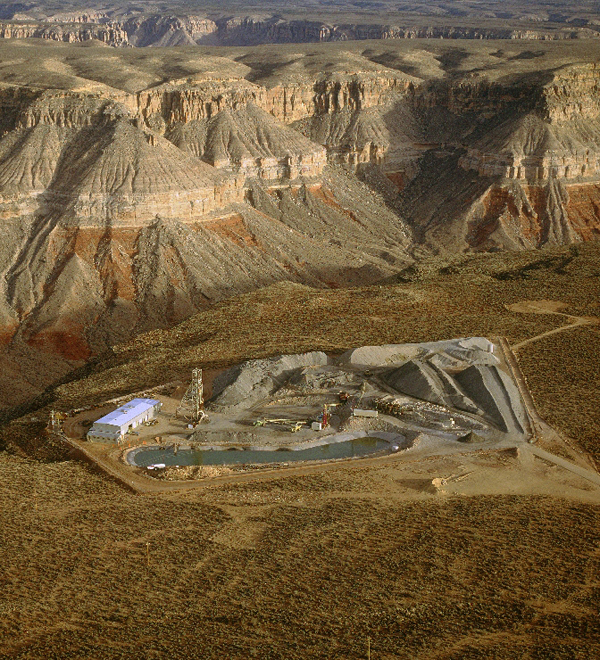 The Grand Canyon region is too culturally, historically, and economically important to mine for uranium. Over 500 truckloads of radioactive waste have arrived on the doorstep of the Ute Mountain Ute tribal community of White Mesa. 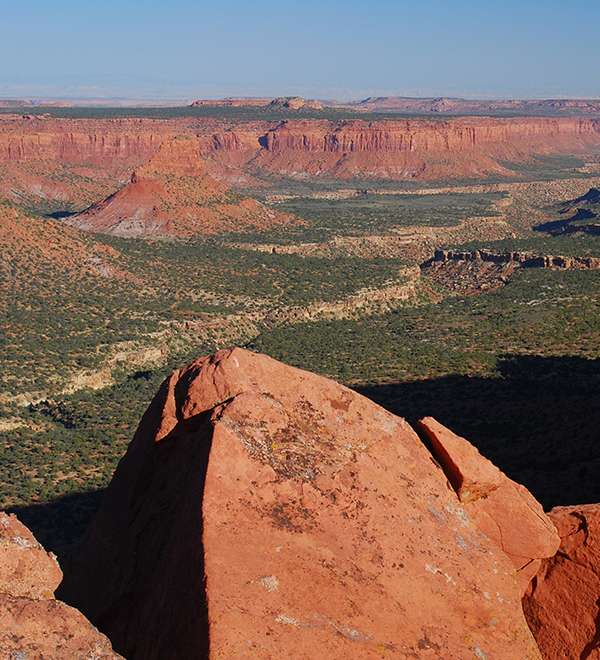 We protect the Colorado Plateau from destructive impacts of energy development. We oppose the extraction and use of the Plateau’s high carbon fuels – oil shale, tar sands, and coal. We work to prevent uranium mining and milling from harming the Plateau’s air, water, and land. We advocate for the Plateau’s transition towards wind and solar energy sources. We fight uranium contamination and ensure that operating companies comply with federal environmental laws. We are litigating to force the White Mesa Uranium Mill – the only operating uranium mill in the United States – to comply with the Clean Air Act. We defend Grand Canyon against new uranium mines and fight for the closure of existing mines on the South Rim. The Colorado Plateau is ground zero in the battle to keep dirty energy in the ground. Strip mining oil shale and tar sand deposits threatens to decimate northeastern Utah, and takes the country in the wrong direction. We are leading efforts to prevent the Plateau’s federal public land, air, and water resources from being destroyed by oil shale and tar sand mining. Renewable energy is a critically important part of replacing carbon intensive fuels and diversifying regional economies. We help to develop renewable energy policies and projects to reduce harmful emissions and to assist communities in their transition away from coal. We fund solar, wind and energy efficiency projects in collaboration with partners and volunteers. 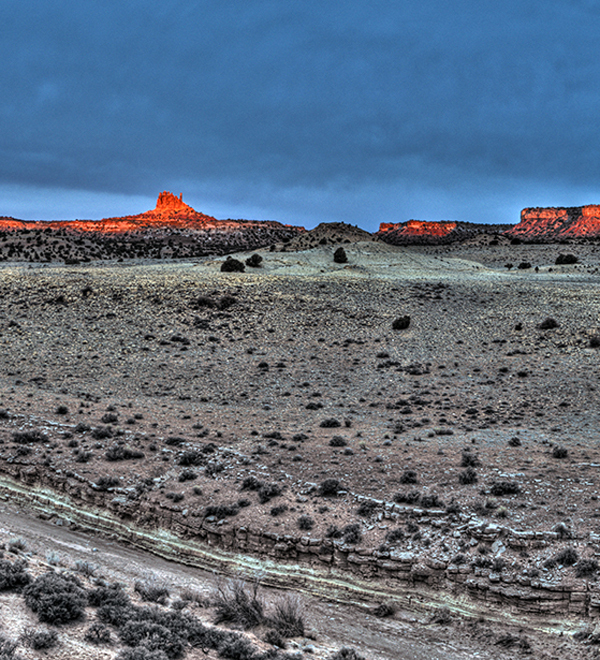 Help us protect and restore the Colorado Plateau!